The folks at creativetechs (who also put together the free 4-week and 10-week photography courses) have a free 6-month (yes, 6 MONTH) Photoshop Course, starting next week. 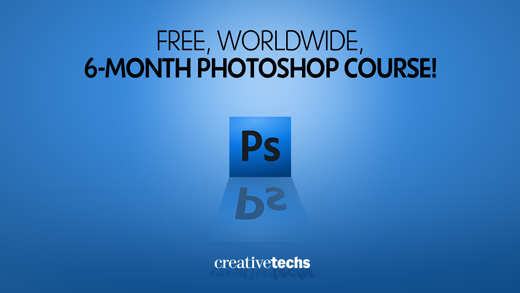 Webinar: Free 6-Month Photoshop Course! Course 5 – To Be Announced!